An Inspire Me Naturally Gift Card is the gift of well-being, a gift that can bring amazing benefits to the home or workplace. With a large range of natural products on offer, the Inspire Me Naturally Gift Card can be redeemed on items to nurture the body inside and out. Getting back to nature and nurturing ourselves, loving one another and being an awesome friend or family member is what life should be all about. 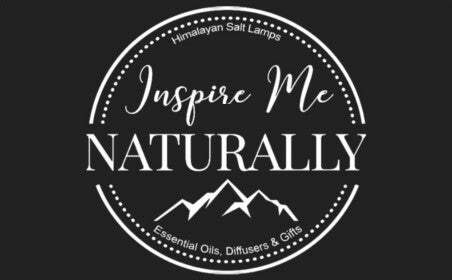 An Inspire me Naturally Gift Card can be used to purchase a range of products such as dōTERRA Essential Oils, Crafted Salt Lamps, Natural Salt Lamps, Coconut Products, Ultrasonic Diffusers & so much more. All of the items at Inspire Me Naturally have been carefully selected to be kind to mother nature. Prezzee’s digital Gift Voucher is purchased online through our website and sent directly to your chosen recipient via our app. Their Gift Voucher is then stored on our app, instantly accessible and redeemable. They’ll never accidentally leave it at home when they need it and having it right there on their smartphone will ensure they never accidentally forget about it either. Prezzee’s choice of Gift Cards include all of your favourite stores just like Inspire Me Naturally. Whatever occasion your shopping for whether it be wedding, get well, congratulations or a birthday - Prezzee digital Gift Cards is here to make gifting easy.